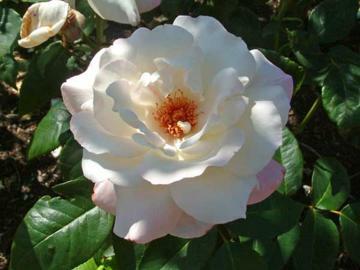 Hybrid tea shrub rose with double, high-centered ivory white flowers, flushed pale pink, repeating throughout summer. Slightly fragrant. Large dark green leaves.